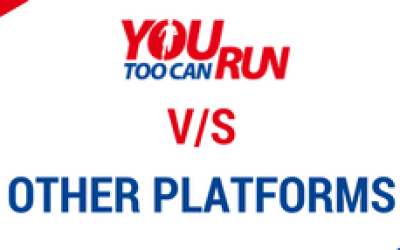 YouTooCanRun put together the Pacer’s Team for the Goa River Marathon of December 2012. This post captures the entire series of efforts that went into it and concludes with what was learnt from this effort. Many runners take up endurance running but do not know how to Pace their runs, thus often their runs are ones’ where the final timings achieved are by accident and not by design. Pacing, in an endurance event, is a very desirable aspect of an individual’s run that will help every runner better his timings and enjoy a sense of achievement. As per design and as per plan. A team of Pacers are an integral part of a well conducted running event. Pacing in our country has made very recent inroads. SCMM 2011 was the first event that saw Pacing in our country. The Pacing effort continued in the SCMM of 2012 and at the Airtel Delhi Half Marathon of 2012. 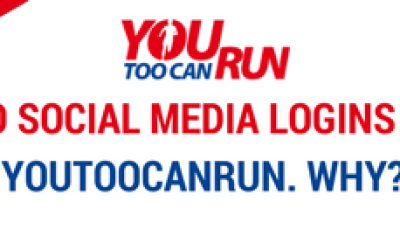 Venkat of YouTooCanRun was part of all these events. At the Borivali National Park Half Marathon of 2012, Venkat put together the Pacing effort. He also wrote the country’s first Pacer manual with a view to help other Pacers understand what Pacing was all about. 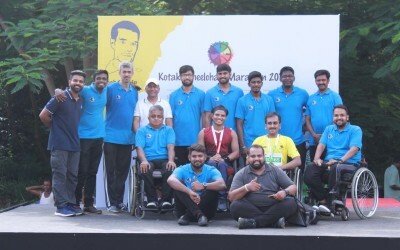 With these references as background the organizing team of Goa River Marathon invited YouTooCanRun to put together a Pacing team for the Half Marathon of Dec 2012. Once YouTooCanRun accepted the invitation to put up the entire effort, things turned out to be more challenging than expected. It was decided that it would be better to invite good and accomplished runners to be the Pacers rather than runners with a poor track record. Thus a general invitation on Runners for Life or FaceBook was avoided since many respondents may not be those desirable. It was felt that a good Pacer should be one who is led by a sense of motivation to contribute for the cause of running. This approach, though desirable proved to be more challenging than originally contemplated. It soon came to light that not many Runners were willing to forsake the pleasure of a good run for the cause of contributing to the running pleasure of slower runners. More than 25 leading runners of India were contacted and quite a few came back in the negative even though all of them made sincere efforts. The qualification for each Pacer was that he should have run at least 1 timed event in the year 2012 with a timing of atleast 10 minutes faster than the Pacing time, thus a Pacer for the 2:30 bus should have run a HM of 2:20 or better in 2012. This pre-qualification was necessary so that the Pacers chosen are well trained and in good current form to the Pacing bus. It was quite tempting to dilute the criteria but sincere efforts ultimately yielded good outcomes and a team of 6 highly desirable runners were put together as Pacers. The Pacers team having fallen in place, activity levels picked up. The next task on hand was the aspect of coaching and transferring of knowledge to the new team. A series of email posts were thus initiated. In a phased manner all the do’s and don’ts of good Pacing were shared, debated and clarified. All the experience and best practices were shared on the email threads. Towards the event date a Pacing Manual specific to GRM 2012 was also put together and sent out to the Pacing Team. After all this in the last week phone calls were made to all the Pacers and the various materials shared so far was gone through. Also each pacer was encouraged to run 9-10 kms at the target pace and report back. Thus by the time the event date came closer the Pacers were as well trained as could be. Both in Theory and Practice. On a simultaneous track a parallel effort was initiated to educate the runners participating in the event. In a separate section of the Event site, articles on Pacing were put up. The concept of pacing, the issues and the importance were bought out in a series written in a reader friendly manner. Runners who read the series were thus expected to understand the importance and need for a well paced run. Along with the articles, a discussion forum was also initiated. Many first timers could seek clarifications and such a effort ensured discussion about various aspects of pacing. This led to a better sense of engagement between the Event Organizers, Runners and Pacers. In yet another first time initiative, about a week before the event date, a Registration Form for Runners was put up on the event site. 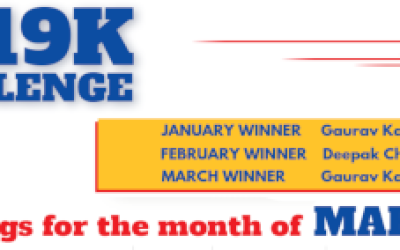 The purpose of the registration form was for runners to register themselves with their respective pacers. This practice was felt desirable so that the Pacers and Runners get to acquaint themselves and also there is a sense of commitment on both sides. The registration process also fulfills the need for organizers to know that there is a demand for the Pacers Team that is being rolled out. About five days before the event the organizers sent out an email to all the participants titled ‘Why Run with a Pacer?’ Top five reasons to run with a Pacer were listed out and soon after this email the Registrations swelled to well beyond hundred. Thus by a series of articles and a discussion forum, the Runners could understand the need for Pacing their runs and also how the Pacing team would help them. In a first time effort, on the day before the run, all the Pacers agreed to arrive early and all Pacers met over lunch. Pacers met each other for the first time and they could introduce themselves to each other. Over lunch besides social bonding, much shop talk ensued and thus face to face clarifications were offered to some lingering issues. The Pacers lunch served as a valuable opportunity for the team to develop a sense of bonding and a team spirit that is so much essential for success of any effort. The Pacers lunch was followed by a route reconnaissance. The Pacers got into cars and a dry run of the race route was done. Even though the elevation profile was shared from Garmin a visual perspective of the route and a kilometer by kilometer breakup of the route served the Pacers well. After the route recee the Pacers came back to the Hotel and each Pacer then developed his own Pacing plan based on their own levels of comfort. An Excel sheet was kept ready and had been customized for a Km by Km route profile. Each Pacer could thus construct a Pacing plan for himself that was most suited to his style. Each Pacer was then handed out a printout of his pacing plan. – Bottles: 2 Dozen bottles of the same kind were purchased so that the pouches and bottles were a good fit. The bottles were also cut open so that the pennant pole was a good fit into the Bottle. – Pennant Pole: Was made of very sturdy plastic pipe. Each pipe was cut into lengths of 28 to 30 inches each so that it could fit into airline check in baggage. At the same time when two pipe pieces were coupled together then the length would be a desirable 5 feet or so. With the Pacers own height the Pennant would thus be at a height of about 8-9 feet from the ground level providing clear visibility all around. – Pennants: The pennant was printed on non tearable digital printouts with appropriate branding. – Securing Pennants: Pennants were secured to the Pennant poles using plastic cable ties. The binding was very secured and worked very well. The Pacers Kit is thus re-useable for future and can be considered an investment for the Running community. In yet another initiative, a meeting of the Pacers and Registered Runners was called on the previous evening. Many Runners attended the meet and the Runners could see various clarifications over and above whatever opportunity the discussion forum provided on the site. Pacers and Runners thus again developed a sense of bonding with each other. On the morning of the Run the Pacers and Runners met with each other at a predesignated venue about 30 minutes before the start time. After some preliminary warm ups the Pacers assembled the kits and were ready to start. With the pennants standing out the Runners had no issue in meeting up with their respective Pacers. With all the planning that had gone into the effort. The run itself was quite uneventful. Murphy only struck in one area. In most cases the coupling of the two pieces of the Pennants pole was not secure and the pole kept falling off. Many Pacers gingerly took it in their stride and ran the distance holding the Pole / Pennant in their hands. All Pacers stuck to their Pacing plans and otherwise Runners were well served by the 6 Pacers. All Pacers finished in the target pacing time. After the run, most Pacers were met with. A one to one debriefing was taken from all. Also an email thread was resumed and feedback taken so that the points can be noted down and things can only be better for the next event.